Mousse is one of those desserts that makes me mad when I’m in the supermarkets. Why do they always have gelatine in them? It’s often the case in restaurants that desserts with mousse in them are not suitable for vegetarians too. This is very annoying, as I really like mousse! The worst thing about it is that it is perfectly possible to make a lovely mousse without using gelatine. There are several ways to make vegetarian mousses, but this is very straighforward and easy. Fresh chilli, finely chopped, amount depending on taste. I used half a small chilli (approx 5cms long before I cut into it) for a subtle taste. Prepare the limes by zesting and juicing them. Add the finely chopped chilli to the lime juice. Don’t go mad with the chilli. The flavour needs to be gentle and not overpower the lime and white chocolate. For this reason, the chilli needs to be chopped VERY finely too. Melt the white chocolate in the microwave, very slowly, stirring often, so it doesn’t burn. Set aside to cool. 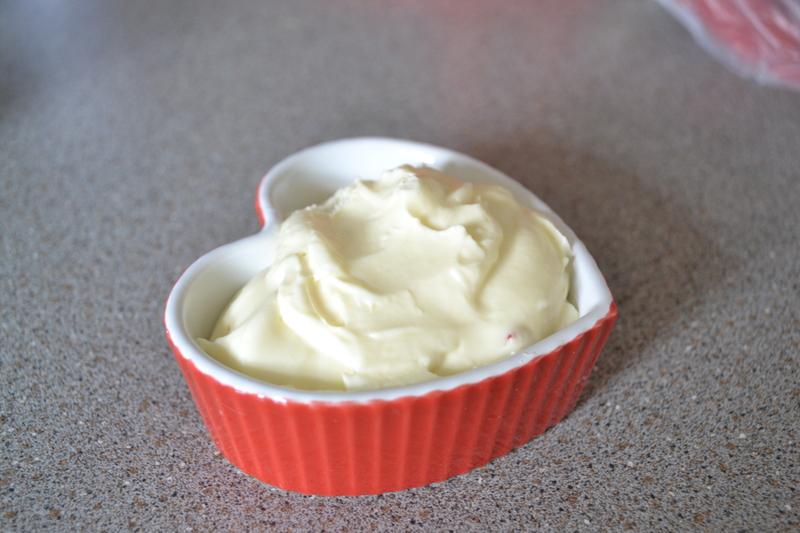 Mix the double cream using an electric mixer until you have soft peaks. Add a dollop of the cream to the melted chocolate and mix in. Then fold the chocolate mixture, lime zest, juice and chilli into the rest of the cream. Mix well. Spoon the mixture into 4 ramekins. This type of mousse can be served immediately. 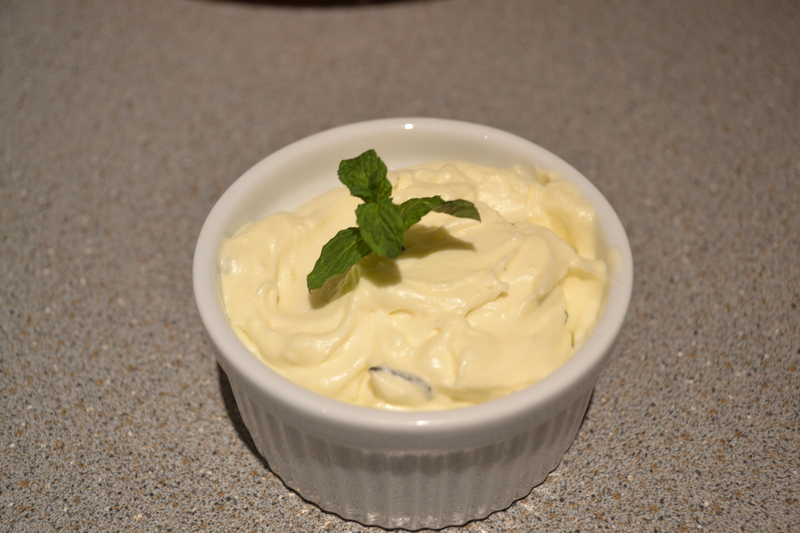 If you’re not feeling brave then you can substitute the chilli for some finely chopped fresh mint leaves, and make a lovely subtle mousse which is remeniscent of a Mojito. 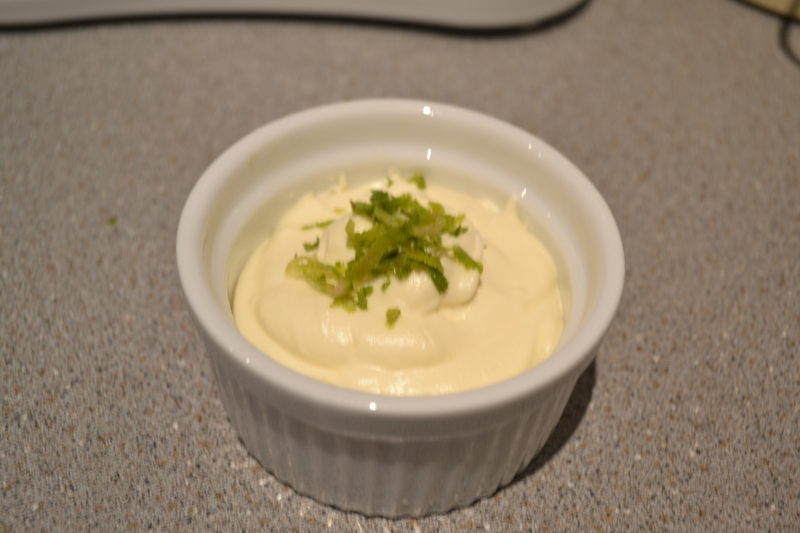 Or you can make a plain, but still delicious Lime and White Chocolate Mousse.